Unit 78, formerly Corporal Richard Hardgraves, is a Cyborg with a mission: to rescue the Amiral’s daughter from the dreaded Tr’Low Cult on Beacon 5. The Tr’Lows have a prophesy that a half-metal man will come from the sky and father the perfect child on a chosen bride — Rich tells himself he will play the part just long enough to grab the girl and run. Kyrin Pierce is a Peace Keeper with IPKA — the Interstellar Peace Keeping Association. Lured to Beacon 5 by a fake call, she was captured and now she is being prepared for an unspeakable ceremony. She too plays into the Tr’Low prophecy because of her flame-red hair. As the priestesses of the cult inject her full of hormones to drive her wild with need, she has nearly given up hope of escape. Rich might be more metal than man but he still has a heart and when he sees what the Kyrin has been through, he aches for her pain. But in order to get her out of the Tr’Low compound, he must do the unthinkable…and give the cultists what they want by taking Kyrin in their public ceremony. 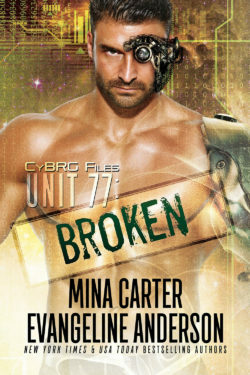 Kyrin doesn’t care that the man who has come for her is a cyborg, she only knows that her body needs him desperately. And after he rescues her, her heart needs him too. 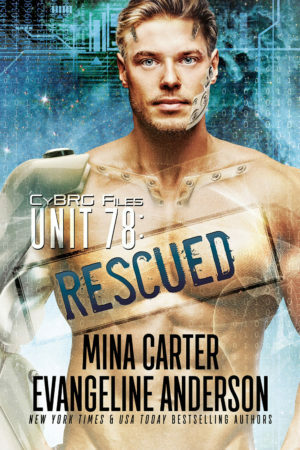 But Kyrin’s father, Admiral Pierce, doesn’t approve of his daughter loving a “metal monster.” When he separates them and sends Kyrin to a hospital to take care of her “problem” can Rich rescue her again…in time to save their baby?